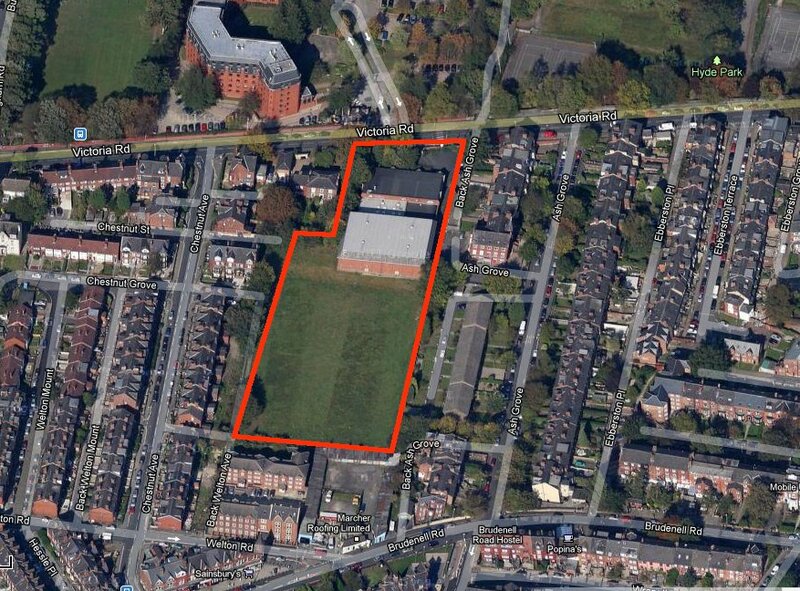 Controversial plans to build homes and a shop on the site of a former school sports hall and playing field in the Hyde Park area of Leeds are back before councillors on Thursday – with council planning officers recommending that they get the go-ahead. It’s been a long-running row. The plans have been opposed by local councillors, MPs, campaign groups and residents, who have been calling for the facilities off Victoria Rd to be made available to local schools and the local community as part of what they call the “Hyde Park Olympic legacy”. The campaigners have sought backing from several different quarters – and often been frustrated: by Sport England, for example, who haven’t raised objections to the development on the sports site that used to be part of Leeds Girls High School. The campaign has wanted too to have the plans turned down on public health grounds – because, they say, the facilities are sorely needed for exercise by a local population that suffers from high rates of obesity, diabetes and cardio-vascular disease. But in a report prepared for Thursday’s meeting, council officers are sticking to their advice that the plans comply with both the council’s development policies and the provisions of last year’s Health and Social Care Act. Even Leeds public health director Dr Ian Cameron intervened at one stage in the row, suggesting that the council’s leaders support the principle of retaining the playing fields for community use. But lawyers intervened, and that particular initiative came to nothing. The latest setback for the campaign came earlier this week when the council withdrew the site from its list of community assets, after the site owners challenged a decision taken in May to include it. ” … there is insufficient evidence to conclude that it is ‘realistic’ to think that the site could be brought back into community use in the next five years,” a decision from the council’s director of city development said. “I reach this conclusion on the basis of the likely value that would need to be paid for the site, which could be considerable, coupled with the lack of a practical and deliverable plan to meet this cost,” he said. 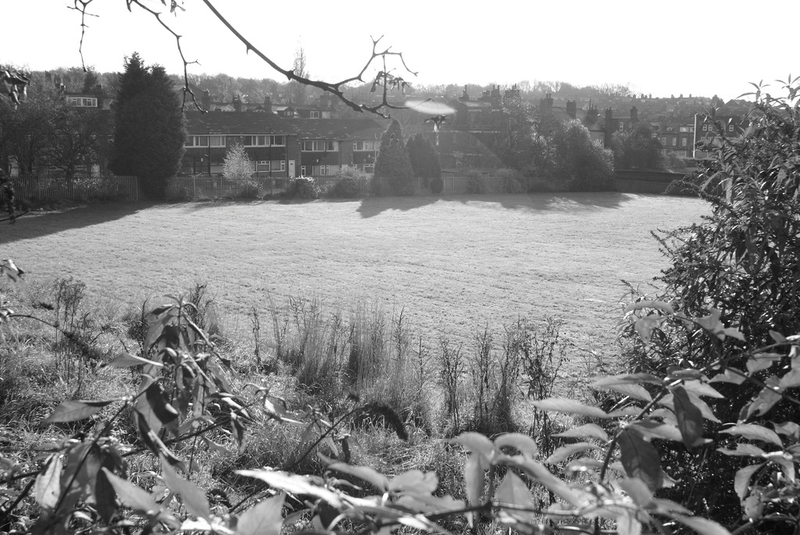 The planning officers are saying too that the latest proposals submitted by the developers have overcome earlier concerns over the detail of the lay-out and the development’s impact within the local conservation area. There’s a gentle reminder in the officers’ conclusion that any decision taken by councillors to reject the planning application on Thursday will have to stand up at an appeal with the planning inspector – should it come to that. “Officers recognise that this application is very sensitive and very important to the local community and very careful consideration has been given as to whether grounds for refusal could be substantiated in relation to the loss of the protected playing pitches and buildings,” the report concludes. “The principle of an out of centre retail development has similarly been carefully appraised. Officers consider that refusal is not justified on these grounds and could not be defended successfully on appeal. “In light of the issues raised within the report that outline the benefits and also the impacts of the proposed development it is clear that the recommendation to grant Outline Planning Permission is an on balanced recommendation (sic),” it says. Thursday’s meeting is open to the public. Details of the time and venue and reports are here. This entry was posted in Uncategorized and tagged chartford homes, holbeck land, hyde park, hyde park olympic legacy, leeds, leeds city council, leeds girls high school. Bookmark the permalink. The developers proposals are destruction & destruction is not regeneration. The community loses & only a few profiteers gain. The tragedy is that across the city there are many more development sites available that don’t involve the destruction if badly needed community facilities & greenspace. So why this site? Why take this away from my community? I will be speaking against the application. Game on.